Although earthquakes can wreak havoc on a society, they have the beneficial by-product of providing much useful data for seismologists. These data can shed light on alternative theories and, thereby, help society predict and deal with future threats. Similarly, hyperinflation offer monetary economists a natural experiment they CC1.il use to study the effects of money on the economy. 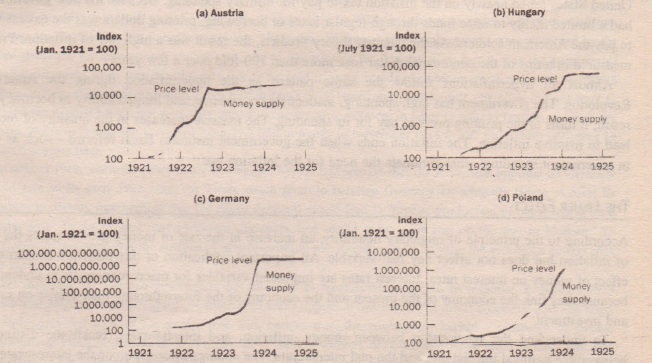 Hyperinflation are interesting in part because the changes in the money supply and price level are so large. Indeed, hyperinflation is generally defined as inflation that exceeds 50 percent per month. 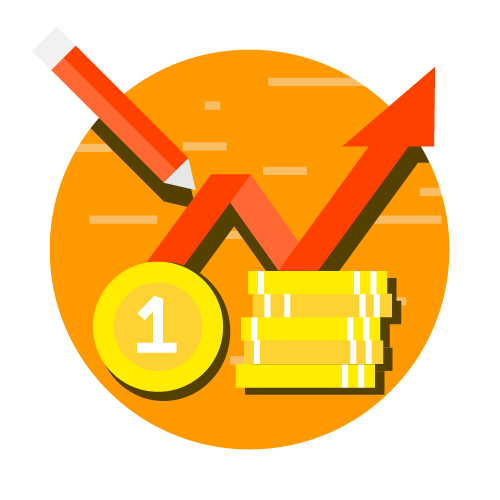 This means that the price level increases more than 100-fold over the course of a year. 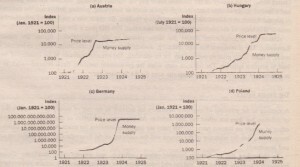 Notice that in each graph the quantity of money and the price level are almost parallel. In each instance, growth in the quantity of money is moderate at first and so is inflation. But over time, the quantity of money in the economy starts growing faster and faster. At about the same time, inflation also takes off. 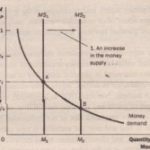 Then when the quantity of money stabilizes, the price level stabilizes as well. These episodes illustrate well one of the Ten Principles of Economics: Prices rise when the government prints too much money.